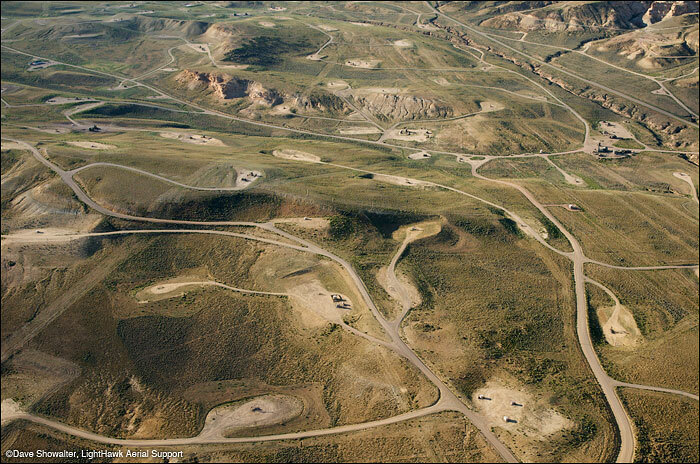 Fragmented land in the LaBarge, Wyoming Gas Field. The network of roads and gas pads have rendered the land useless for anything but industrialized gas production. Photo © copyright by Dave Showalter.